Code review is a rather controversial subject. On one hand many SDLC gurus, tech leads, and architects agree that it could present an incredible value, on the other hand it’s one of the last quality procedures to be exercised in a majority of organizations. There are many reasons code review often takes the back seat, one of the most important ones is morale impact of code review. If let unmanaged code reviews can often cause tension in the team, things quickly become personal and instead of improving quality of code generate turmoil and finger pointing. Another reason of code reviews’ lack of popularity is their complexity in process sense, in particular timing. 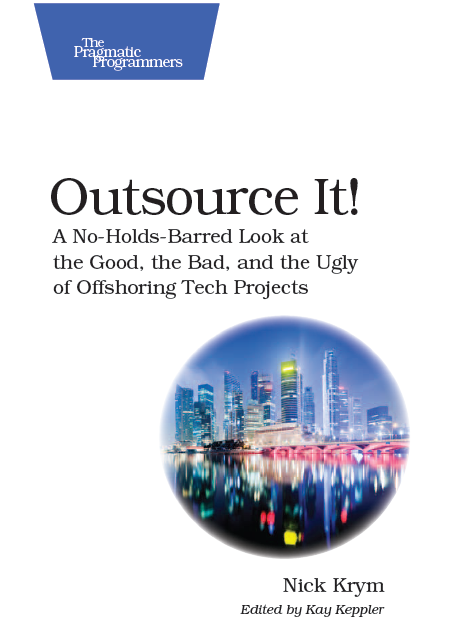 I am in general a big proponent of code reviews and when it comes to offshore I found those irreplaceable. Specific implementation of code review depends largely on SDLC and outsourcing model used by the team. If you fully outsourced your SDLC to an offshore partner you in a large degree will be at mercy of their internal SDLC. If you have an ability to influence your vendor’s processes you may want to request code review as a mandatory step and hope that it will be performed according to the best practices that are generally well known nowadays.